The fruit diet lasts only three days. Do you think you could follow a strict regimen for 72 hours if you thought you could lose up to 10 pounds in that time? Of course you could. That is the beauty of the fruit diet. The fruit diet is actually a flush program. During the three days on the program, you will flush the fat out of your system. If you go back to your old eating ways after the diet, you will gain some or all of the weight back. However, I think you will find that once you have flushed many of the toxins out of your system on this program, you will find that you don’t want to eat in the same ways that you did before. The fruit diet was developed by Jay Robb. People have reported losing up to 25 pounds in just the first few days. However, a 10 pound loss is more typical. On the first day of the program, you have 6 oz. glasses of protein mix at 8 a.m., 10 a.m., noon, 2 p.m. and 4 p.m. It is very important that you have the protein mix at these times exactly as the 2 hour program is a vital part of the program. 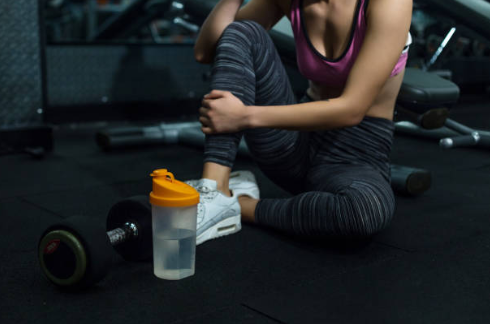 Your protein mix cannot contain any of the following ingredients: aspartame, fructose, sucrose, evaporated can juice, sucralose, maltodextrin, sugar, corn syrup, corn sweeteners, barley malt, molasses, agave, or brown sugar. It is usually best to avoid the cheap brands of protein mix. After each protein drink, you need to drink 12 ounces of plain water. Then, at 6 p.m., you get a big salad. By this time, you’ll be plenty hungry, so the salad will be quite appetizing. The salad should include at least 3 cups of raw vegetables (any kind) and can be topped with up to 6 ounces of lean meat and either 2 oz. of olive oil or half an avocado. If you wish, you may substitute 6 scrambled eggs for the meat! After you finish the salad, do not eat anything else until the next day. Days 2 and 3 are where the “fruit” in the fruit diet come into play. Instead of the protein shakes, you will eat one serving of fruit at 8 a.m, 10 a.m., noon, 2 p.m. and 4 p.m. A serving of fruit is 100 calories of fruit. So, that would be 1 medium banana, 2 oranges, 6 apricots, 1.5 cups of blackberries, 3 peaches, 15 grapes, 4 tomatoes, etc. On days 2 and 3, you will also have a large salad, again topped with 2 tsp. olive oil. But, you will not include meat or eggs on these days. However, you should drink a protein shake with dinner. One hour after you consume each fruit meal, you should drink 12 ounces of water. Jay Robb recommends that after you complete the 3 day fruit diet, you limit your consumption of high carb starches and sweet fruits to maintain your weight. The fruit diet will help you take pounds off quickly. Many dieters report that they look at food differently after this short period of time. The sweets that used to look so good just aren’t as appealing. If you are serious about jump starting your weight loss, consider the fruit diet.